Looking to add something unique to your Instagram feed? Want to automatically frame several photos into a single frame to publish on Instagram or another social network? My latest App of the Week is definitely worth a few minutes of your time. Learn more about Frametasitc in this short App of the Week video. Frametasitc is a FREE app but many of the extra features, such as video slideshow framing, auto-framing, and additional frame options cost $0.99 -$1.99. I vision this company continuing to develop the app by adding additional in app purchased features as they build upon what people already love about the app. Below is a sample Instagram video using the app from my account @ProfessorJosh. 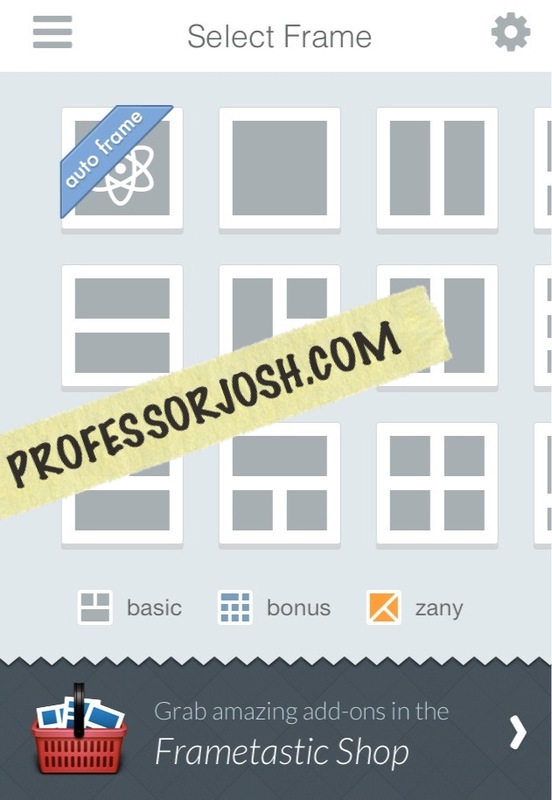 This is the only framing app I have found to add the auto-framing and video slideshow options. These types of features are what make it unique on Instagram feeds but don’t worry you don’t have to use Instagram to take advantage of the app. The frames and videos can be saved to your camera roll and posted to any social network. The app gives your the ability to unlock for $0.99 a variety of formats, including simple, landscape, portrait, skyscraper, and postcard. If you decide to have this app on more than one iOS device, make sure you click the option to restore purchases to receive all your in app purchases on your other device on the same iTunes account. 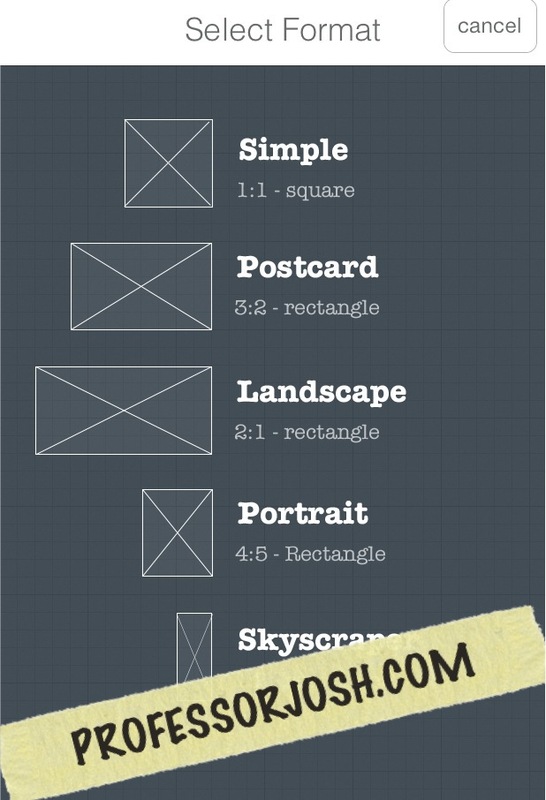 What are some of your favorite framing apps? Check out additional App of the Week postings.